Kevin Hart (Night School, Ride Along) and Bryan Cranston (Trumbo, “Breaking Bad”) pair up to tell the inspirational true story of a genuine and unique friendship in the fun and moving comedy "The Upside," debuting on Digital on May 14 and on Blu-rayTM Combo Pack, DVD and On Demand on May 21 from STX films, Lantern Entertainment and Universal Pictures Home Entertainment. A “funny and warmhearted buddy comedy” (Pete Hammond, Deadline) grounded in real emotion, "The Upside" earned an “A” CinemaScore from moviegoers and features a stellar supporting cast including Nicole Kidman (Aquaman, “Big Little Lies”), Golshifteh Farahani (Paterson, Boutique), Julianna Margulies (“The Good Wife,” “ER”), Aja Naomi King (The Birth of a Nation, “How to Get Away with Murder”), and Tate Donovan (Argo, “Damages”). 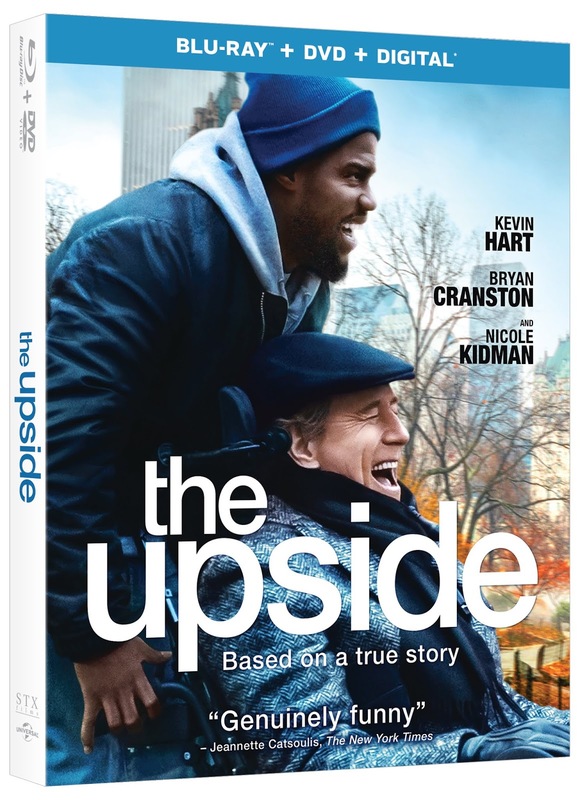 "The Upside" on Blu-rayTM, DVD, and Digital comes loaded with special bonus content including a gag reel, deleted scenes, behind-the-scenes featurettes, and a breakdown of the onscreen chemistry between Kevin Hart and Bryan Cranston.